Having a small safe for keeping little things out of the hands of the other people in your house of apartment can be quite convenient. I’m not talking about some 75 pound fireproof safe, but something small enough that can sit on your desk and hold important items like a watch, ring or perhaps a Roku remote. 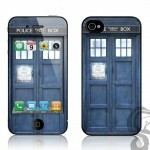 Well, if you love Doctor Who and have an iPhone or Android phone, I think I have found the perfect small safe for you! 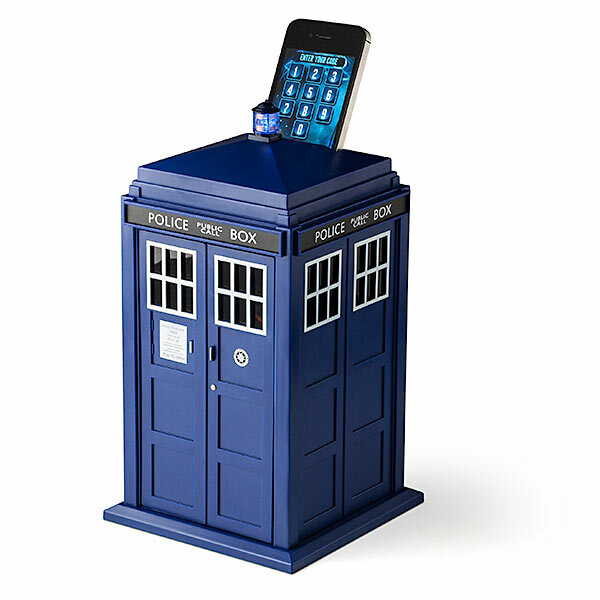 The nerderific folks over at ThinkGeek are selling this Doctor Who TARDIS Smart Safe that uses iPhones and Android phones for just $49.99! How does this safe work exactly since there isn’t an obvious key slot? Apparently you slide your Android or iPhone into the top of the TARDIS safe which activates a pressure switch, then you have to launch an app and enter a security code and presto! 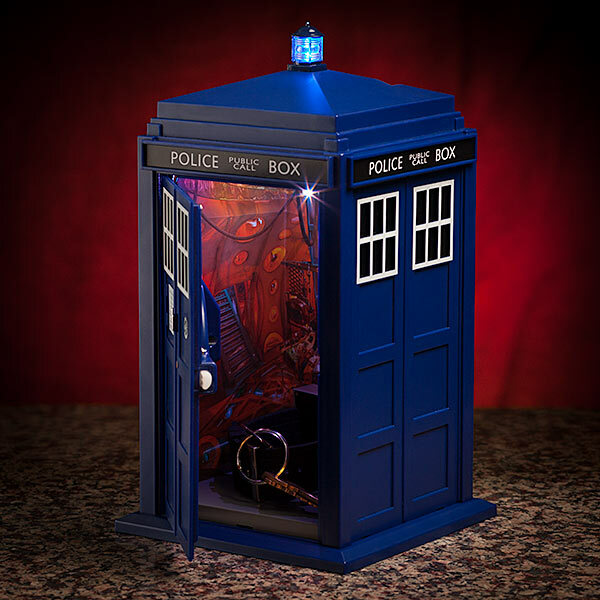 The TARDIS light will blink, the materialization sound will be played and the door will pop open (assuming you entered the right code). 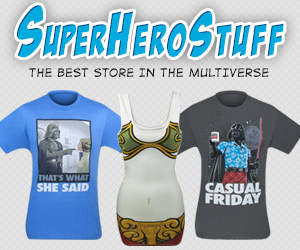 Pretty cool huh? 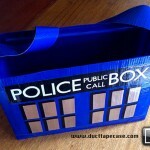 If you are a Doctor Who fan with a desire to keep small things out of the hands of others, you can’t go wrong with this phone activated TARDIS safe!